We're having a bit of weather here in Annapolis. Forecasts are for wind gusts as high as 70 mph and upward of 10 inches of rain today and tomorrow morning. I expect we'll lose power soon and it's doubtful that Fed EX or USPS will be picking up packages. So I've asked the VO staff not to come to work today, and perhaps tomorrow. It might get dicey driving, never mind biking. Some of us will try to answer e-mails from home as long as we have power. We hope to get all orders out by late Wednesday if power and internet are restored. Sorry for the delay. 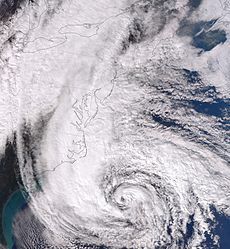 Update 10/30: The storm center passed well north of us and we are open and shipping orders again. Phones and e-mail are working. Sometimes customers ask us what tubesets we use in our frames. Different tubesets can offer different benefits to the frame builder, but what difference does it make to you, the rider? Let's say you had two top tubes from two different tubing manufacturers. Assuming those top tubes have the same dimensions (length, diameter, thickness), then they would weigh the same and have the same rigidity. So what is different between tubesets (intensive properties)? Tubes with a higher tensile strength can be made thinner; this in turn decreases their overall rigidity. It can also be tempting to think of this as meaning weight savings. Let's do a quick comparison of how much weight is saved within in the Tange line of tubing. Taking a top tube from the Infinity line and from the Prestige line, both are 590mm long and have an outer diameter of 28.6mm. The Tange Infinity tube has a thickness of 0.9mm on the ends and 0.6mm in the middle. The Tange Prestige tube has thickness of 0.7mm on the ends and 0.4mm in the middle. The Infinity weighs 287 grams, the Prestige weighs 207 grams. 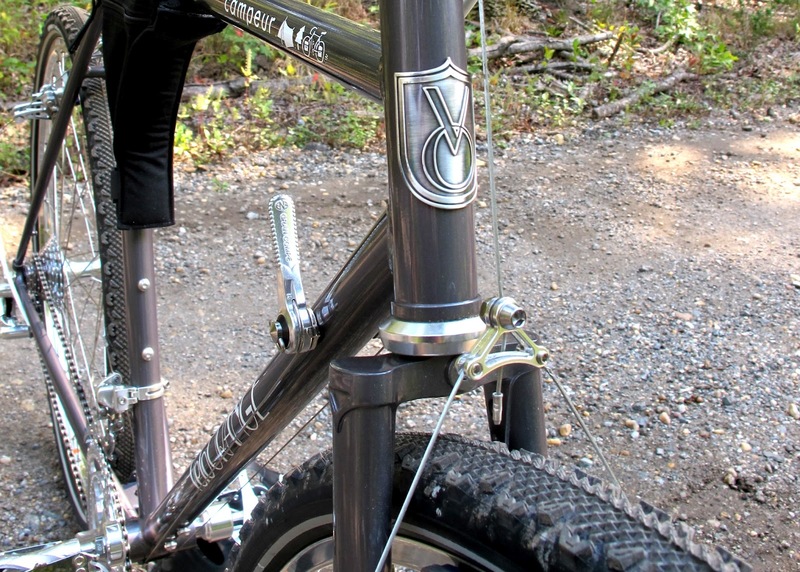 So you've saved a little less than a fifth of a pound in the top tube. You'll probably end up saving less than that between the down tube and the seat tube. That's not horribly insignificant but it is important to consider the trade off. One of my friends used to commute on a nice steel track bike. About a year ago he unlocked his bike from a bike rack. He left it leaning against the rack while he bent over to roll up his pant leg (should have had one of these). A substantial gust of wind blew his bike over and it hit the bike rack next to it dead center on the top tube, that 0.4mm thick section. 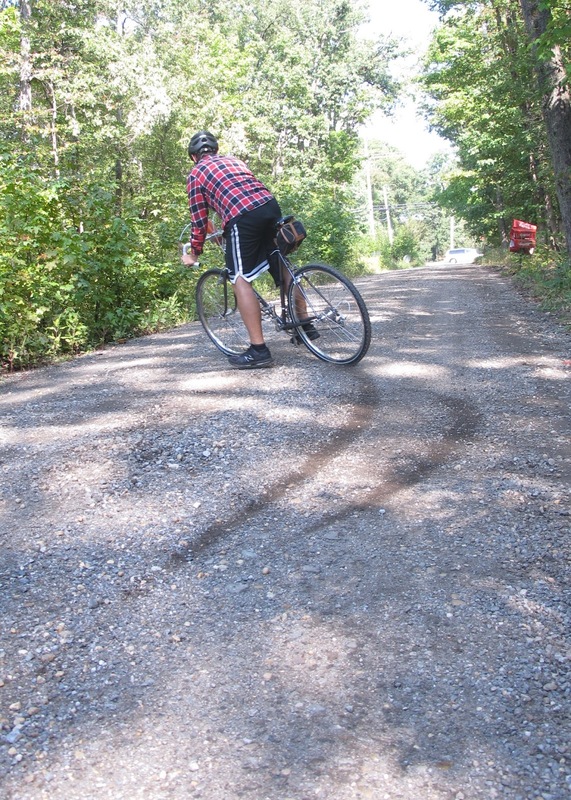 This gave the top tube a nice dent, which eventually turned into a nice crack. The moral of the story (besides that track bikes might not be the best for commuting) is that different tubing sets offer different advantages. It can be tempting to look at them from an entirely monetary sense, but more expensive doesn't necessarily mean better. Thin-wall tubing is very easy to dent. That's why we wouldn't recommend it for a commuting bike or a touring bike. It's also more likely to be destroyed in a crash, even a mild one. 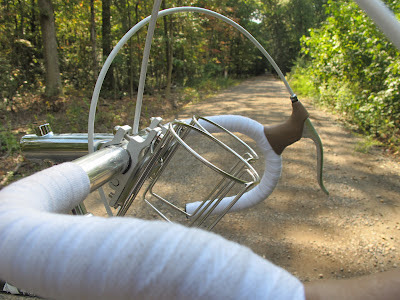 That high end thin-wall tubing may be okay for racing bikes, but you must still be careful with them. At the end of the day, the best choice is usually to just trust your builder. They generally have specific tube sets that they prefer to work with and they will choose a tube set appropriate for your application (touring, track, racing, etc.). Sure, you may not be able to see everyone swoon when you tell them that your bike is made of 853 Reynolds, but your pockets might not feel as light, either. By the way, VO uses a high quality 4130 double-butted tubing made in Taiwan (where a lot of "name brand" tubing is now also made). 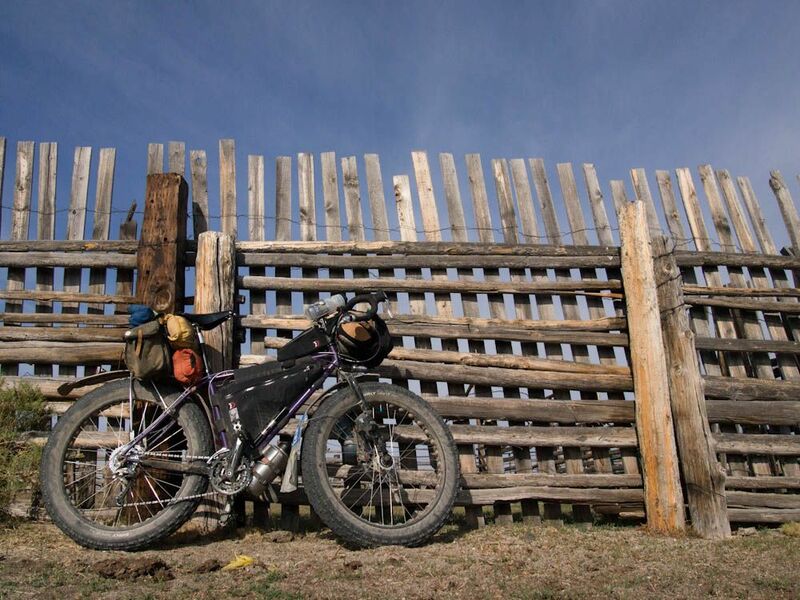 We feel that that the quality is equal to that of tubing from the old line companies, but by using this tubing we can knock $100 to $200 off our frame prices without losing ride quality or gaining weight. Sometimes I think that it would be nice to have the sort of company that makes the same unchanged few products for years or decades. But then I realize that we wouldn't be happy without continually tinkering with, and hopefully improving, our components. 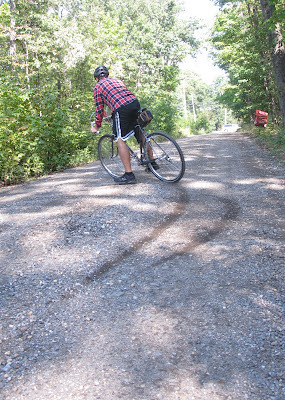 In this case it was the engineer who designs our brakes deciding they could be made better. So even though the MK2 brakes work and sell very well, we decided to introduce an updated and improved version. The new MK3 version wide-profile brakes are significantly more powerful than previous versions. This is due to their longer arms. Longer arms increase mechanical advantage. But just as important is their excellent adjustability. They now have spring tension adjustment for easier centering. We've kept the traditional wide-profile design of the MK2. And they still have slots for up and down adjustment of the brake pad. This means they fit perfectly on more frames and forks; not all canti studs are in exactly the same place due to manufacturing tolerances or intended specification. There is also an adjusting mechanism at the end of the straddle wire for easier setup and for fine tuning pad clearance and wire angle. (You'll wonder why all canti brakes don't have these adjusters.) Finally, the brake pads are fully adjustable for toe-in and angle. 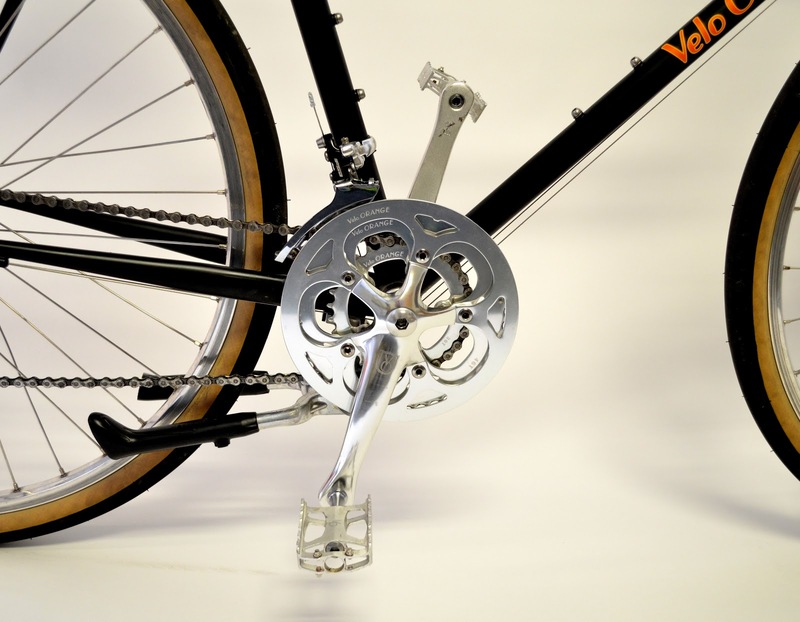 The graph above shows the mechanical advantage of the three models of the Grand Cru Cantilever brakes at various yoke heights. It's good for comparison, but keep in mind that mechanical advantage also varies with different brake stud location, rim width, distance from pad to brake, exact arm position, and brake lever type. 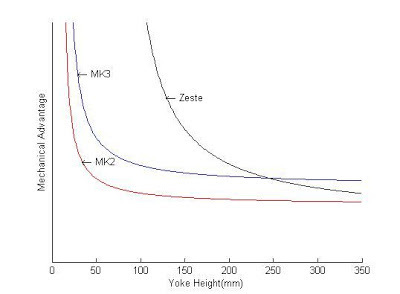 Also, you can't reasonably get the yoke below 100mm, so ignore the far left section of the graph. 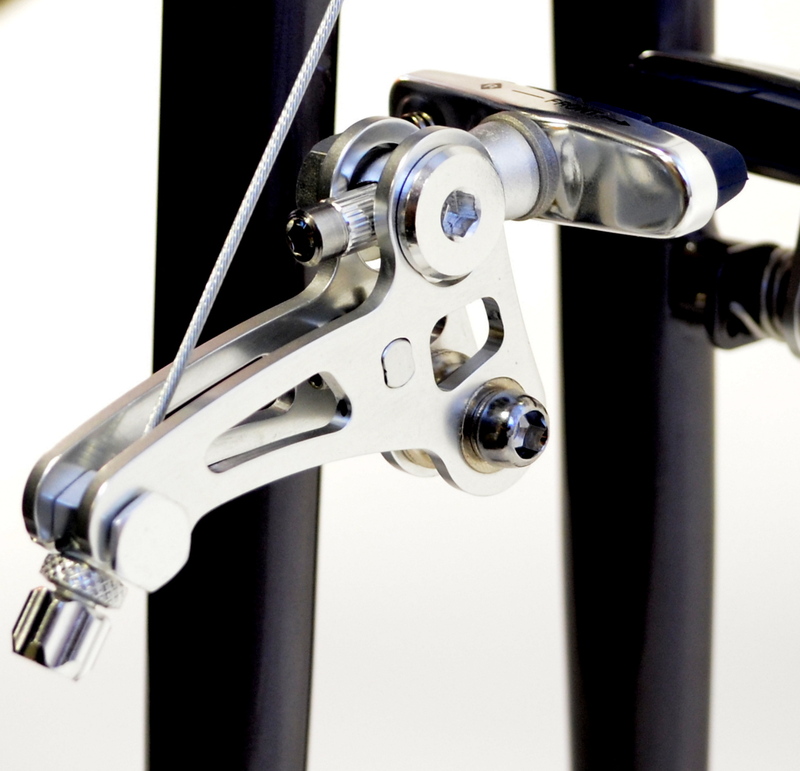 Should you order the MK2, MK3, or Zeste brakes? Compared to the Zeste, the MK3 and MK2 are easier to set up because they are not as sensitive to yoke height variations. They are also more traditional, and perhaps cooler, in appearance. 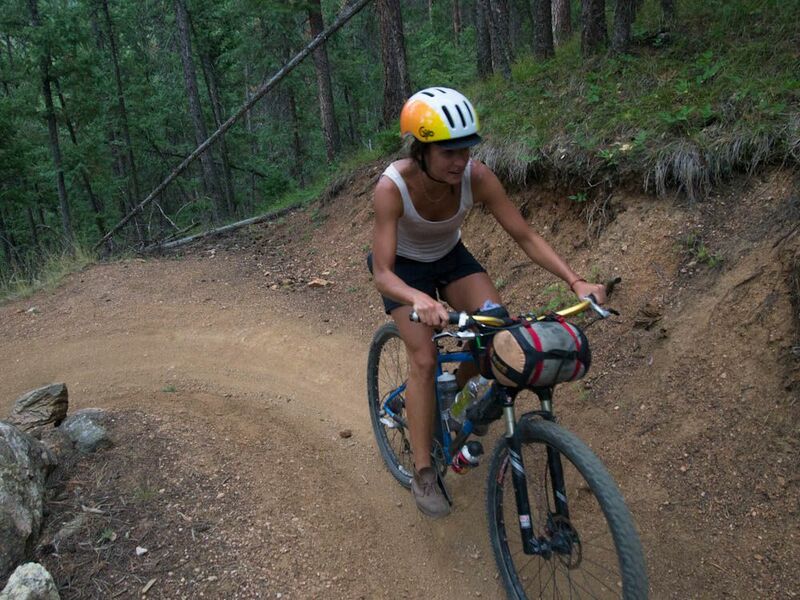 But they have a wide profile that can snag on panniers or heels if your bike has short chainstays. The Zeste brakes have more power and that may be important if you ride a loaded touring bike in the mountains, but they cost more. They also have a low profile. The MK2 brakes are still very good and a super value now that they're on sale. Ben Lively creates amazing bike drawings. We're happy to offer signed prints of his Polyvalent Porteur drawing. This is a digital drawing done with a Wacom pen tablet, a sort of electronic pen. It's printed on heavy paper and signed by the artist.The drawing's size is 18x24 inches. Its shipped in a mailing tube to prevent damage. The cost is $30. A little about Ben, "I've been drawing since I was old enough to hold a pencil, and cycling nearly as long. Over time I began to combine my two favorite things and I've been drawing bicycles and components ever since. 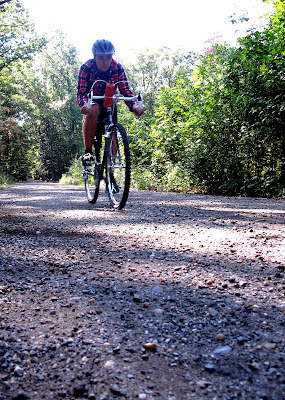 While I often draw everything from landscapes to comics, bicycles are still my favorite subject." Since I started VO I've wanted to offer a reasonably priced, but high quality complete bike--not just any bike, but one with really well designed and matched components. That's what made the French constructeur bikes great. 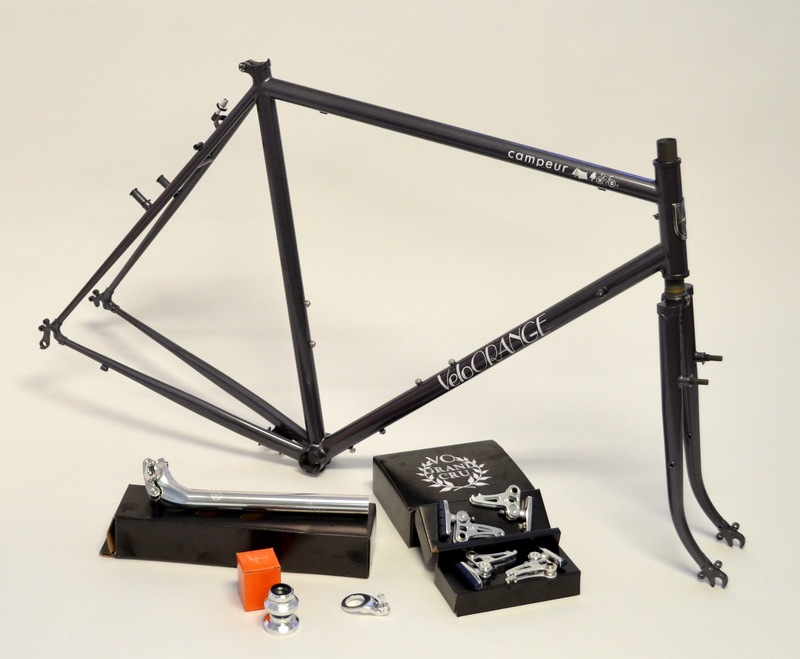 Not only did the constructeurs make great frames, but just as importantly they were built in the shop with perfectly matching components and accessories. Many of those components and accessories were made, or at least designed, by the constructeur himself. The difference in the bikes I've wanted to offer is that they would be affordable to the average cyclist. Before I go on, here is the complete build list. Campeur Frame: Sizes: 51, 53, 55, 57, 59, 61. More info here. Not a bad build for $1600. But there are a few other, perhaps non-obvious, differences between our build and those from other moderately priced complete touring bikes. 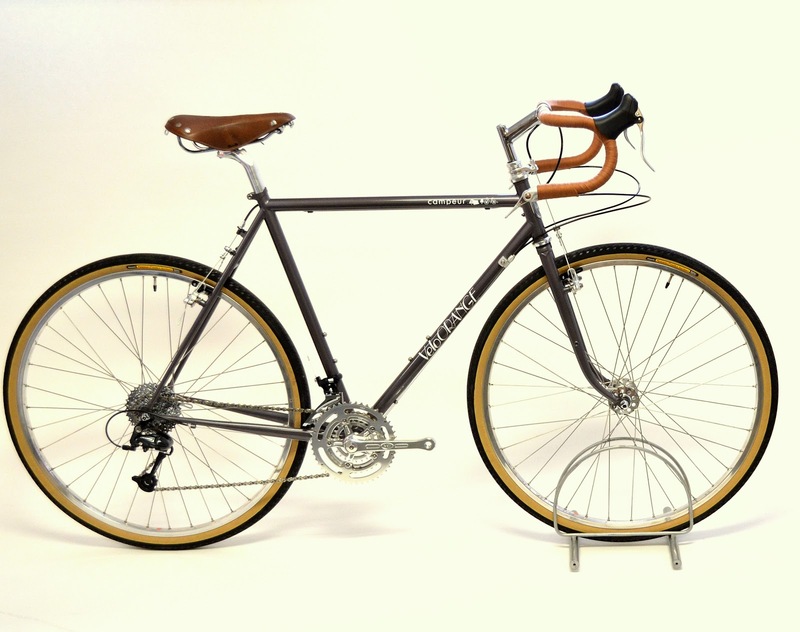 First off, the Campeur assembled in our shop in Annapolis MD. Next, the components are what we would ride. I'd have no qualms about hopping on this bike and riding a three thousand mile trip into the back of beyond. And I wouldn't say that about a lot of mid-priced off-the-shelf bikes. 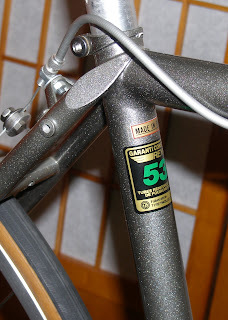 On some of them you might find a $6 bottom bracket with plastic cups hiding behind a nice looking crank. Or you might find no-name hubs or headsets with low-end bearings. 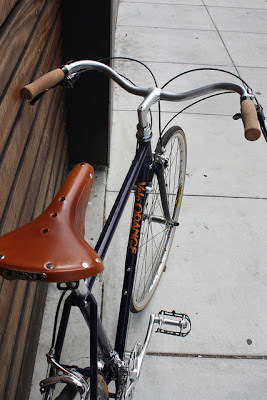 Then there is the seat post without enough setback for a leather saddle. We've tried to address all these common problems. The final point I wanted to make about these bikes is that they are an experiment and we'll make only a very limited number. The reason for this is that we really don't have the staff or space to build them in large numbers efficiently. But if they sell well, we'll lease another warehouse bay and hire more staff so we can do them in quantity. Also, for those of you who prefer to do your own assembly we now have Campeur build kits. This MK1 Polyvalent was built by us to send to a publication for review. It got a good review (though it's not viewable on-line without a subscription), but the publication took some 11 months to return the bike. We've checked the bike over and it appears to have been ridden less than 100 miles. 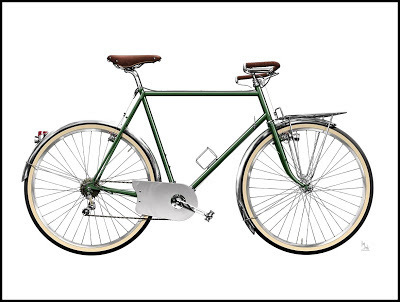 It's set up as a multi purpose bike for use as a commuter or tourer. The fenders were bent in return shipping and so are not included. 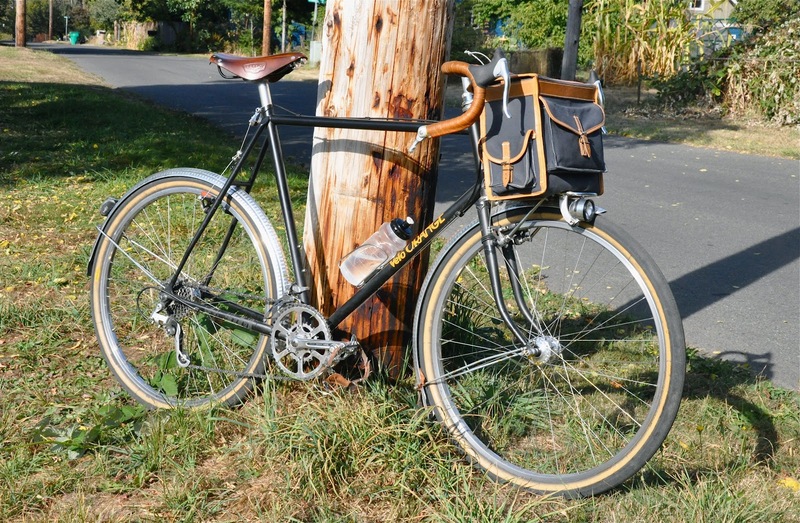 Highlights of the build include a Model 1 saddle, Polyvalent crank, 105 hubs, Pari-Moto tires etc. A full list follows. It's available for $1200. This is the time of year that we go over our costs and pricing. As expected a few things have gone up. But the big news is that when analysed frame costs, including development costs, we found that we could lower them substantially. So we re-priced the Polyvalent and Campeur at an even $500. That's a $100 drop for the Campeur and a $50 drop for the Polyvalent. By the way, those of you who bought a frame from the VO web store or in our showroom at full retail price in the past month will get a VO gift certificate in the amount of the price drop. 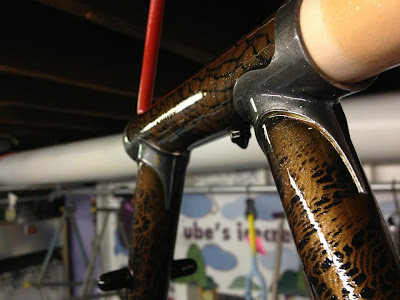 Check out this paint job on a VO rando frame, from the very cool Ube's Icecream Shop blog. The full post is here. Box Dog Bikes of San Francisco, one of our oldest dealers, built this lovely townie based on a VO Rando frame. More here. Nice job Gabe! I noticed the recent blog post about your "other touring bike". I wanted to point out that you also have "that other rando bike". 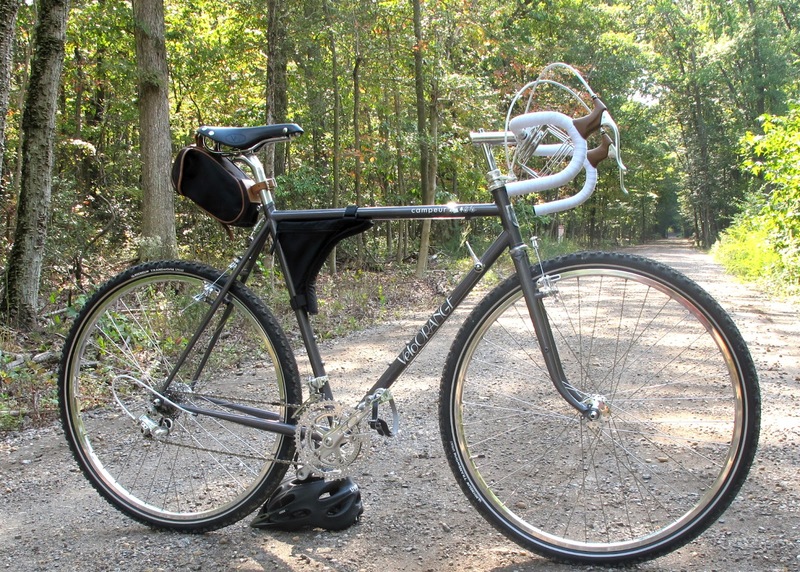 My Polyvalent MK1 has been a few different things since I got it, but it has developed well with my recent interest in Randonneuring. It still remains the most affordable 650b frame on the market, and it's a bonus that it fits fast 42mm Grand Bois Hetre tires with fenders. 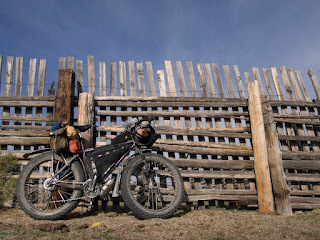 Maybe my favorite part is it's stable and consistent handling with even the largest Berthoud bag loaded on a front rack after a full day of riding. I've only done a Populaire and a recent Permanent course rid with Seattle International Randonneurs, my local club in Olympia Washington, but I don't plan to stop any time soon. I've lived in Olympia for a year and my Polyvalent has taken me to most ends of our city on local rides and commutes, so randonneurring is my next step in discovering more of the pacific north west on a busy work schedule. 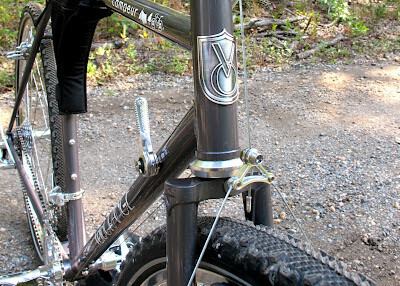 It seems that the Polyvalent has really filled a gap in the market, and truly lives up to its name for your customers. 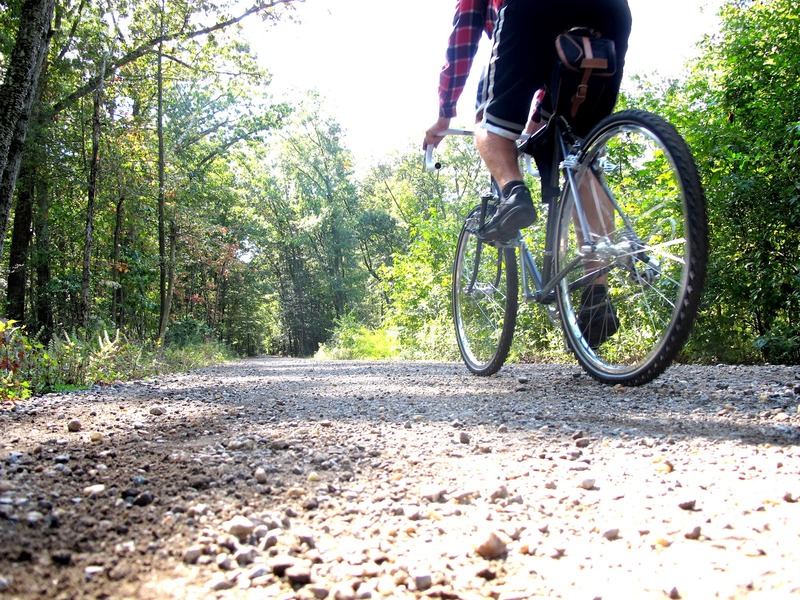 There are countless miles of gravel and dirt roads in America. Even here, on the east coast, you can find them once you get out of town. Of course they are great for touring, but Igor enjoys blasting down them. 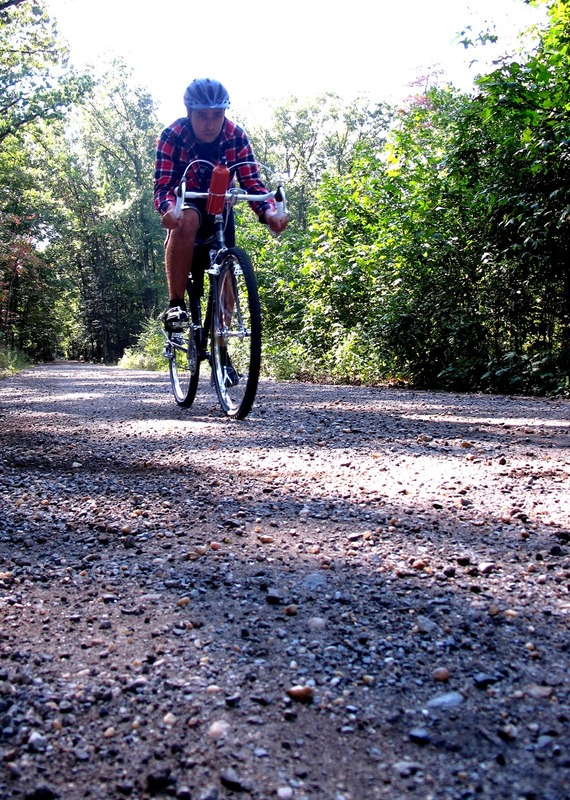 Here are a few photos of him putting a Campeur gravel racer through it's paces. 1940's style bottle cage mounting. A local customer, Scott, wrote to remind us that we actually make two touring frames, In addition to the Campeur, there is the Polyvalent. Polyvalent means multi-purpose and that is exactly what we designed it to be. 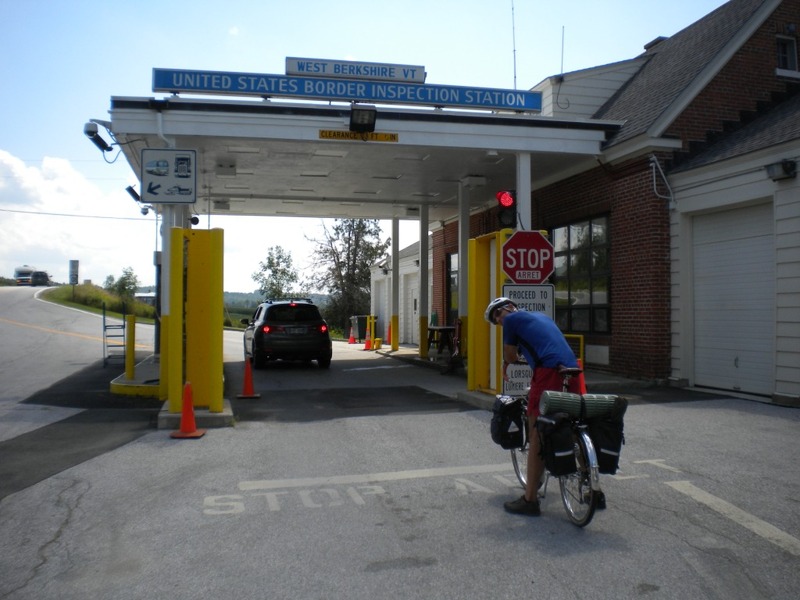 Scott recently completed a camping trip from Vermont to Montreal and back on his new Polyvalent. The entire e-mail follows. 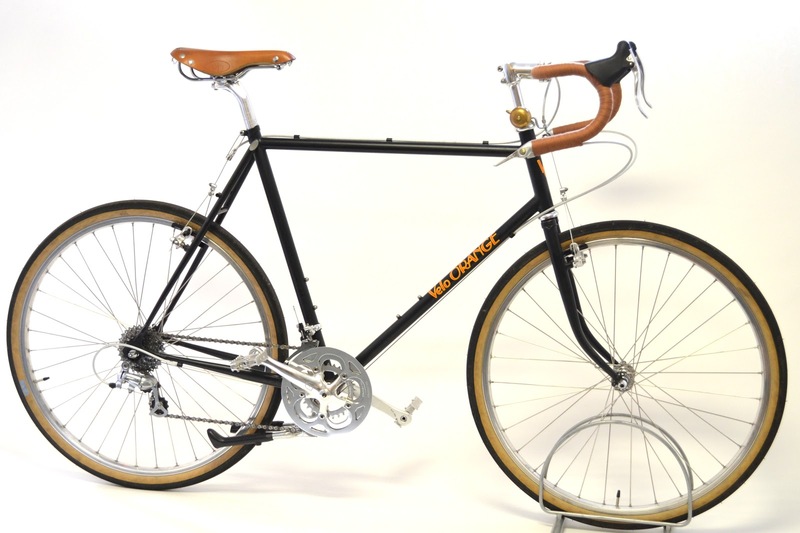 I see there is lots of fuss on the VO blog over the arrival of the new Campeur frames, as well there should be, they look to be an excellent design, but let us not forget that the workhorse Polyvalent is also capable of doing a fine job at loaded touring as well. 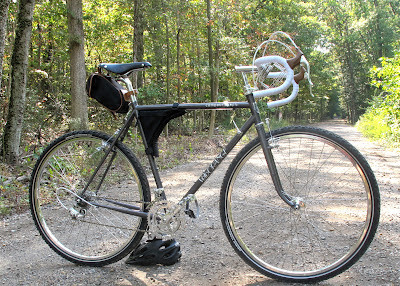 This summer I assembled a Polyvalent using many VO parts with my eye on making it an all-rounder - one equally adapt at commuting, loaded or unloaded touring, or using on club rides. So far it has met all my expectations quite easily, the only exception being that it was a bit slower on the club rides than my other bikes, no matter though as my desire to keep up with the hammer-heads get lesser all the time. As for it being a capable touring/camping rig, or a daily commuter, I couldn't be happier. The other bike is a rescued-from-Craigslist and repurposed Nishiki roadbike, eighties vintage, originally 27" but converted to 650b using VO wheels. 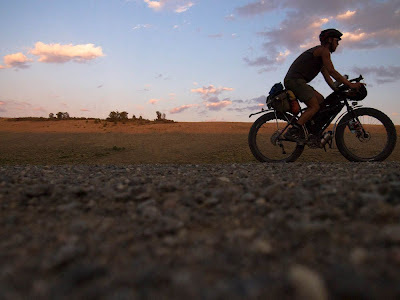 This conversion is something to consider for anyone wanting a low budget, load capable bike, this one worked great for us and will be getting a lot more use after a few minor tweaks. I saw the prototype Campeur at your warehouse just before it went into production and have no doubt it will earn a great reputation for its name, just like the Polyvalent has done.